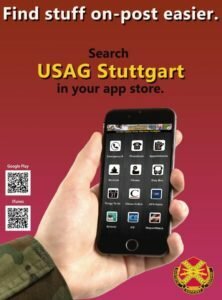 Stuttgart community members can now bowl their hearts out seven days per week at the Galaxy Bowling and Entertainment Center on Panzer Kaserne. The bowling lanes and the Irish Pub are now open Monday through Thursday from 11 a.m. to 10 p.m., Friday and Saturday from 11 a.m. to midnight, and Sunday from noon to 10 p.m.
“The later opening time on Sundays offers a place for sports fans to gather to watch popular stateside games live on the big screen,” said Waqqas Khalid, assistant business manager of Stuttgart Family and Morale, Welfare and Recreation. FMWR will extend the hours even later for the annual Super Bowl watch party, Feb. 3, from 10 p.m. to 4 a.m. The game, which begins at 12:30 a.m. local time, will be shown on 12 large screens throughout the pub and bowling center. Prizes will also be awarded throughout the night. The cost per game at the bowling center is regularly priced at $2.50 per game and $2.50 per shoe rental. 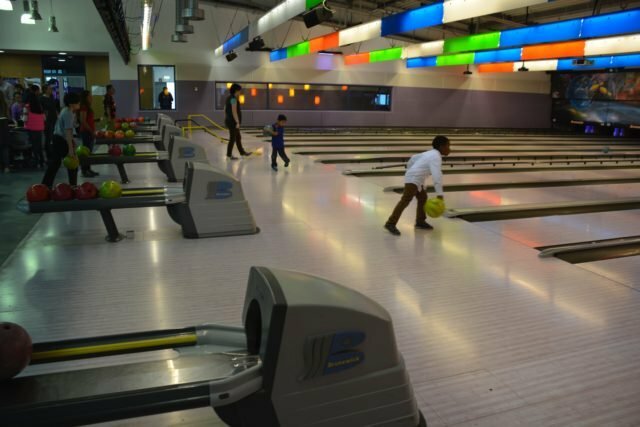 Costs vary for special events such as cosmic bowling. US Bowling Congress members also receive discounted bowling throughout the year. Upcoming “King of the Hill” tournaments open to individual men and women, 18 years and older, are set Jan. 12, Feb. 9 and March 16. There is an eight pin per game handicap and the cost to enter is $35 with an opportunity to win cash prizes. Beginner bowlers can schedule lessons by appointment with bowling center staff to improve their skills and prepare for tournaments. Bowling league information will also be available in January and the season is expected to run through April.